Big Brother’s Josh: Cody Apologized to My Parents — Still a Meatball? 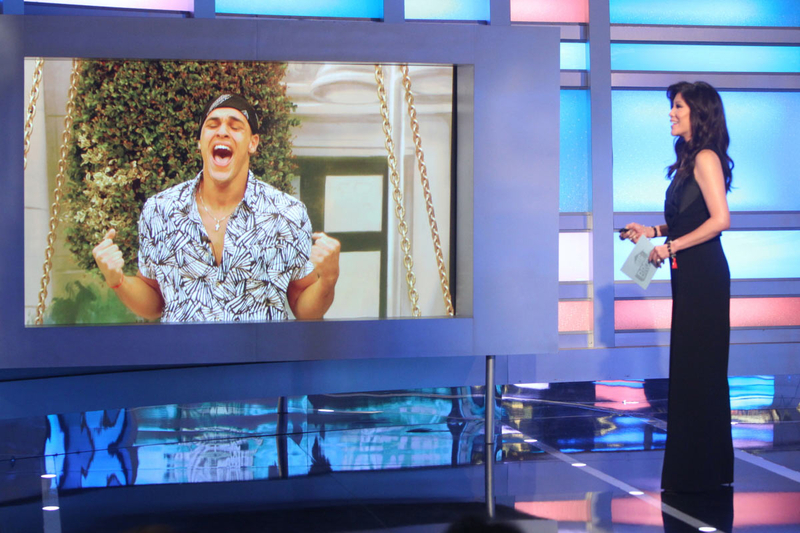 Big Brother’s Josh: Cody Apologized to My Parents — But Is He Still a Meatball? Cue the circus music! 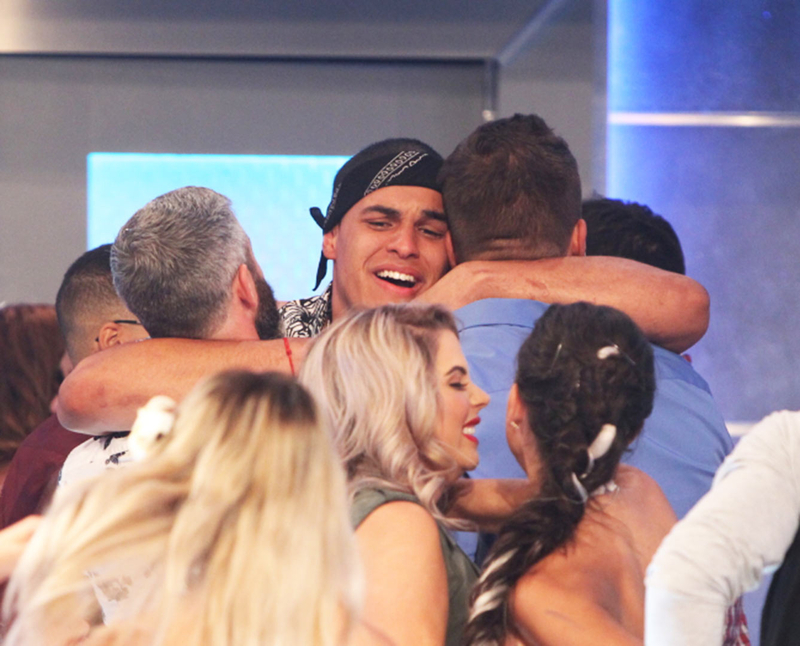 Josh Martinez, as to be expected, is in “complete shock” that he won season 19 of Big Brother and took home the $500,000 grand prize. Even more, the 23-year-old was surprised with what his nemesis Cody Nickson did after the live finale show. Nickson, 32, was the deciding vote, leaving Martinez with the big win and vet Paul Abrahamian with runner-up title for the second consecutive year. US: Why did you choose Paul for final two and how far in advance did you know your decision? US: Did you tell Christmas ahead of time that you were choosing Paul? JM: I did not tell her because she was like, ‘No matter what happens I’m happy for both of you. Do what’s best for your games.’ She actually told me a week, two weeks prior, ‘I think it’s best for your game to take Paul.’ And I told her, ‘I’m taking you, can you promise the same?’ And she said, ‘I don’t know if I can promise you that because I’m not there.’ Instantly I knew she was taking Paul. I didn’t have to hear anything else. US: Paul seemed annoyed at you about your goodbye messages. What was he saying to you during commercial break? JM: I think the whole coward comment really threw me off because he knew how people were calling me a coward the whole season and for him to say that to me was really offensive. But you know I think he also underestimated me. I knew that the game doesn’t end until you walk out. And I knew the goodbye messages were huge. So, yeah, you play your game and put all the blood on me and Christmas — but guess what buddy? I have a voice and I’m going to be completely honest and let jury know that I stuck by you and Christmas and I was loyal and I had a final three and I did not lie, fabricate or say anything that wasn’t true. And that’s what I think got me the win. US: Was it awkward with him afterwards? JM: Oh no, I’m for sure going to be friends with him. I love those two so much. They became genuine friendships. Besides game and everything I love them and we will be great friends. They are stuck with me for life even if they are bitter, whatever it is, they are stuck with me. We’re going to be good friends. US: What votes were you surprised by? JM: Oh, Cody and Mark [Jansen] threw me for a loop. They had more conversations and time with Paul than me. US: Seeing how the votes fell do you think you would have beat Christmas? JM: At the moment I didn’t think I would because I don’t think people saw my game. I think people were just going to be bitter towards me. But now that I realize that people really did see the good game I was playing I think I would have beaten Christmas. US: How would you describe your relationship with Mark? JM: Me and Mark had a love/hate relationship. I don’t hold a grudge. I’m a human being and I always see the good in people. I see the good in Mark, I see the heart that he has and the great person that he is. But his game — he was playing all angles and he was trying to play all corners. So I called him out for his game and I don’t think people can separate where I was exposing his game. I wasn’t exposing Mark. And man, I love the kid. He made it fun for me. We went head to head and we were rivals and it was crazy but at the end of the day he’s a great person and he has a heart of gold. He’s emotional just like me. And if anything I did want to work with Mark but Mark never opened up to me. So I stuck to my people and it worked out. US: Who is your favorite and least favorite houseguest? JM: Favorite houseguest has to be Christmas because she has a heart of gold and she’s a fighter and she’s a badass. That girl had a broken foot and that did not stop her. Christmas would have to be my favorite houseguest. Least favorite, wow, I heard some crazy things about Raven [Walton] and things that were made up about me and really took a toll on me. The things that were made up about me were just really offensive and she didn’t know it affected me. The least favorite in the house — it was really hard to live with Cody. We are polar opposites and he did a lot of things that I did not like. We never had a conversation and he never gave me a chance and I didn’t understand why. US: Your reaction to being the third wheel with Christmas and Paul was hilarious. What’s going on there? JM: What’s crazy is that I think Paul was just being a good friend to her and he was being a good friend to me. But now I realize that Christmas did have feelings for him. Like, what!? So, I really was the third wheel? What the hell! [Laughs] It’s bizarre! Because the whole time I’m like, ‘We’re the three best friends anyone could have!’ Nope, you’re the third wheel buddy — bounce back. It’s like, wow. But I could tell with the companionship and it’s intense in that house. People will never understand the bonds and the relationships that grow in that house. It’s so intense and all you have is literally each other so you lean on each other for so much. I can see where the feelings were manifested on Christmas’ end. US: How many times did you cry in the house? JM: Oh, I cried every other day. People don’t understand but being such a huge fan I never thought I would be picked. Being the chubby guy, being the Cuban loud moth, I never saw someone like me on the show and I never thought that I would get that call. For me being on the show every single day was surreal. I always woke up extremely grateful and blessed. No matter what happened the night before or what arguments I got into my heart was filled with joy every moment. Not only that, I was playing for my family. US: What song would you choose for your exit walk out? JM: Da-da-da-da-da-da-da-da. [Circus music]. 100 percent. US: How did that come to be? Are you a circus fan? JM: People don’t know this but we used to shoot pool and it would get competitive. One day I was playing Jason [Dent] and he goes, ‘Da da da da.’ So I was like, ‘What?’ So every time we played pool [we did that]. Mark would scratch, Cody would scratch, Jason would scratch. It would throw them off of their game so I loved it. It drove them nuts but hey, it worked. US: Would you ever return for another season? JM: That’s a good question. I would need some time for sure. I need to decompress. It was so intense in there and the biggest blessing but I think I would need at least a good year or two years. If they bring me back for a little bit or as a host I’m game. But to be thrown back in for an entire game — I don’t think I could do that. US: In one word, how would you describe your season of Big Brother?